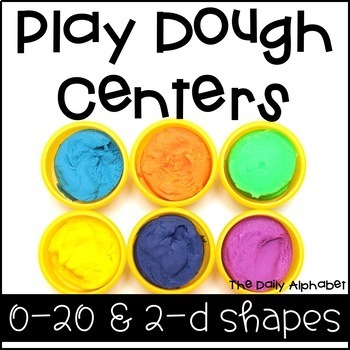 I absolutely LOVE play dough, and so do my students! I am a strong believer of play in the classroom, and I believe that play can be purposeful. 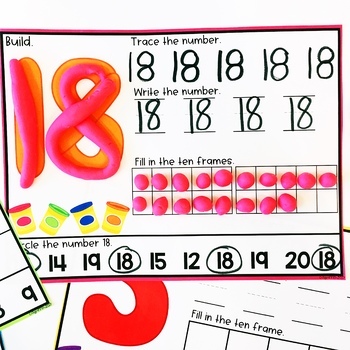 It is an excellent way to make learning fun, and it also gives students a chance to work on those fine motor skills! This center activity allows students to practice the necessary academic skills all while being actively engaged. 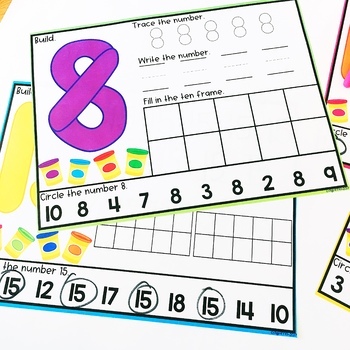 All you have to do it to print, laminate, and add play dough and a dry erase marker, and off they go!! 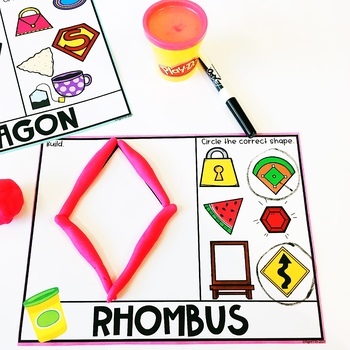 Fun with practicing numbers 0-20 and 2-D shapes can begin! Check out the other packs here! Check out the money saving bundle here!